Historically part of Essex until 1965, Barkingside is now part of the London Borough of Redbridge and is prominently known for being the headquarters for children’s charity Barnados. 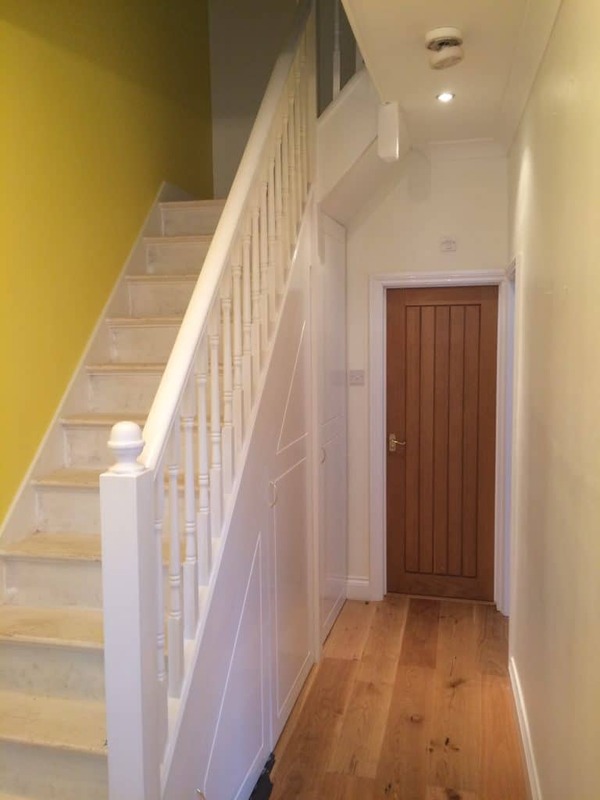 Set in the very sought after location and only a tube ride away from central London, lies a brick mid-terraced property. 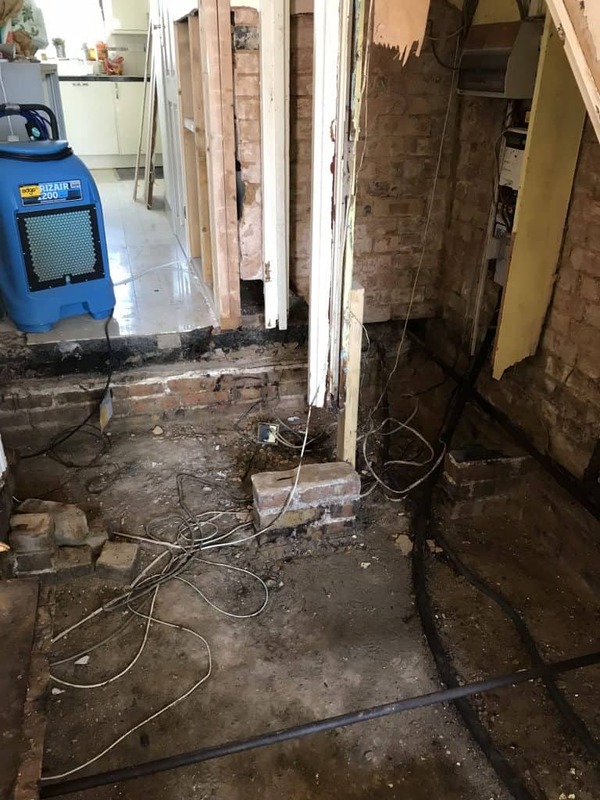 Timberwise London was called upon to carry out a damp and timber survey, paying particular attention to the ground floor of the property to determine the extent of a dry rot fungus (Serpula Lacrymans) outbreak. 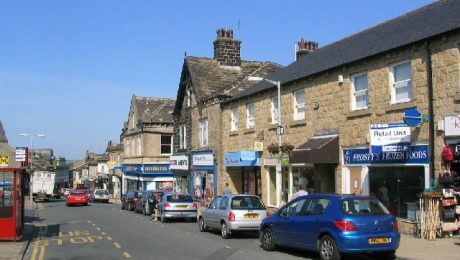 As the Property A and neighbouring property, Property B had suffered a water leak due to a defective water pipe. 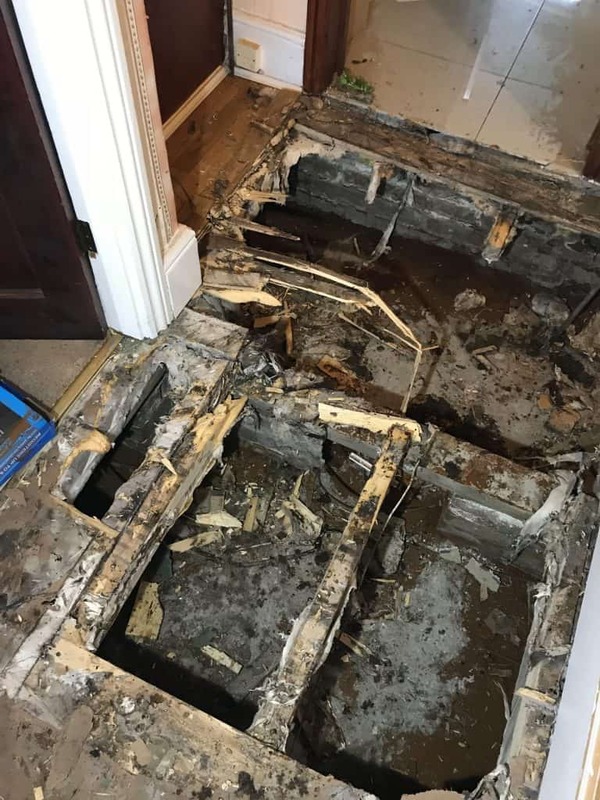 Once the subfloor void was exposed in Property A it was clear that the mycelium (the dry rot strands) was tracking under the floorboards, doorframe and other adjacent areas. 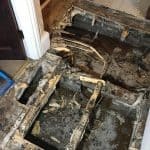 Cuboidal cracking and shrinkage were noted to the door frame of the bathroom as well the door frame leading through to the lounge. 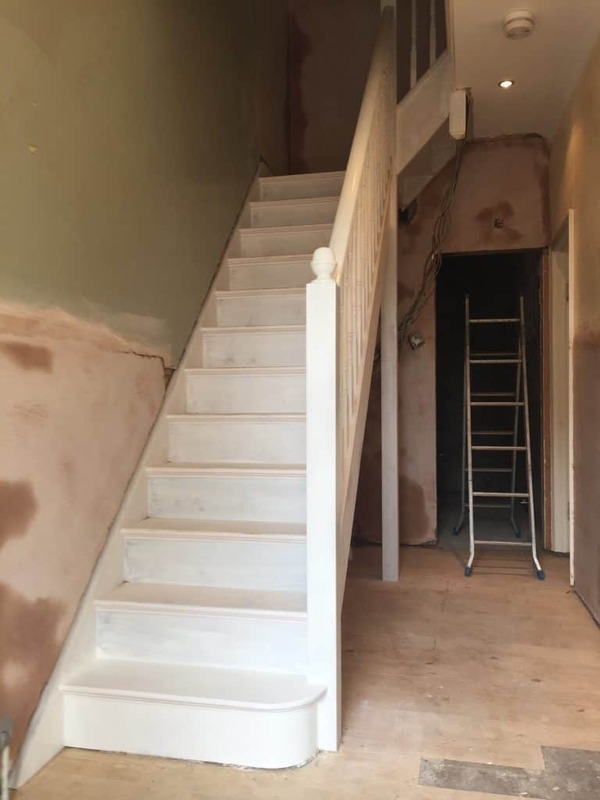 Where the works described in this work involve a party wall, Timberwise had a lawful duty to bring to the customer’s attention to the fact that the party wall act 1996 applied. 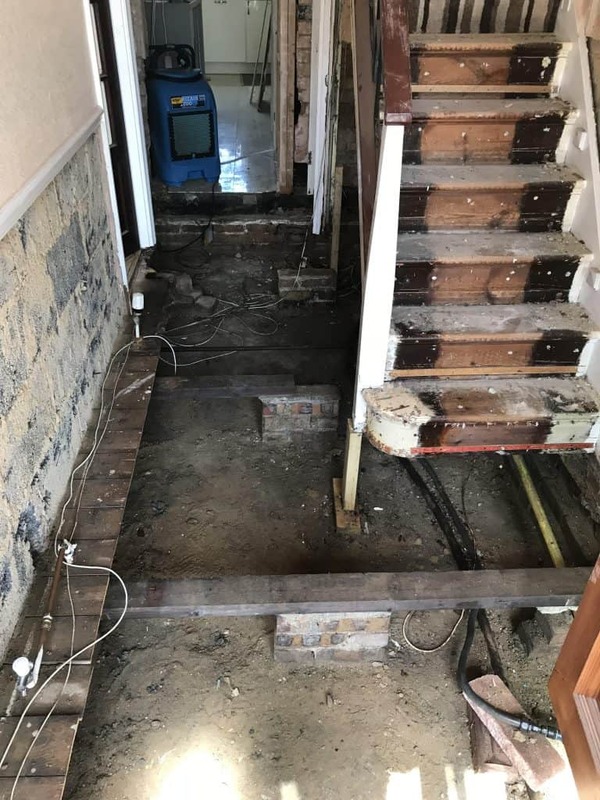 This meant, as dry rot infection has occurred to the party wall, the client had to speak with the neighbouring property to inform them of the outbreak, that adjacent side (Property B) should also be checked and treated to ensure full eradication has been achieved. 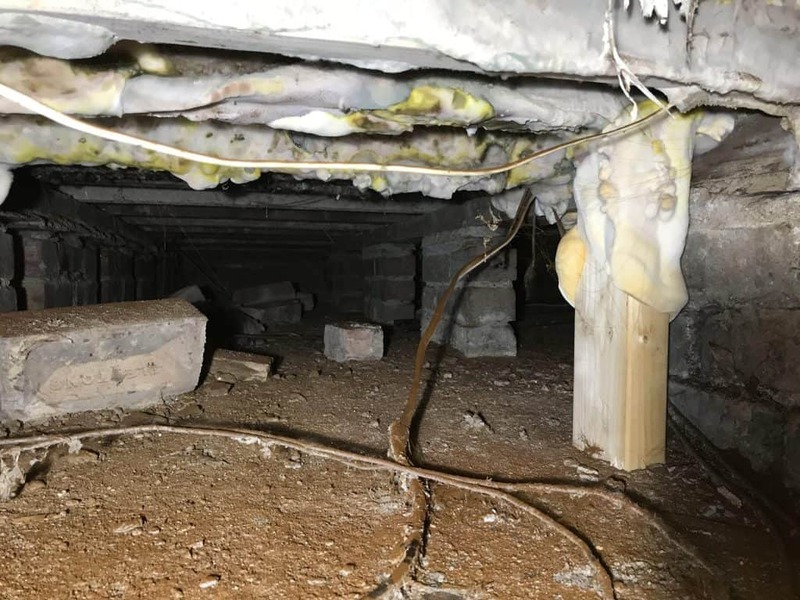 Within Property B fungal decay was also revealed below the floorboards in the hallway and beneath the stairs, spore dust also thickly covered the kitchen floor. 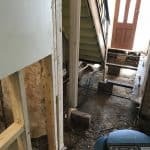 In this situation, there is no doubt that there was a knock-on effect on Property B as a direct result of the dry rot problem in the adjacent property. 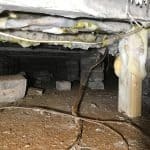 Dry rot is often very misunderstood, and underestimated, especially in relation to its ability to devastate a property. 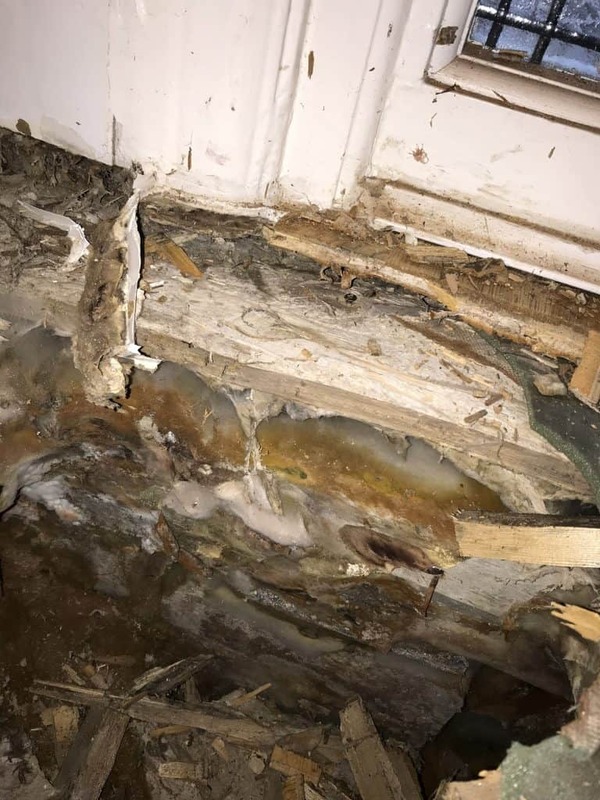 dry rot spores are omnipresent and when combined with a moisture content of 20% or higher and above an almost airless environment it makes for the perfect breeding ground for dry rot to grow further. 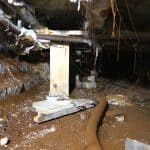 The dry rot fungus can spread through brickwork, track along steel beams and travel great distances in order to find its food source. 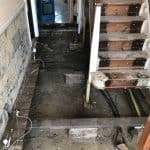 It’s not uncommon to hear that people have fallen through the floorboards due to dry rot because they are just unable to bear the weight of a person walking across them. 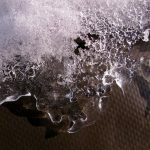 This is because the Mycelium removes all of the starch within the timber, stripping the timber of its structural integrity. 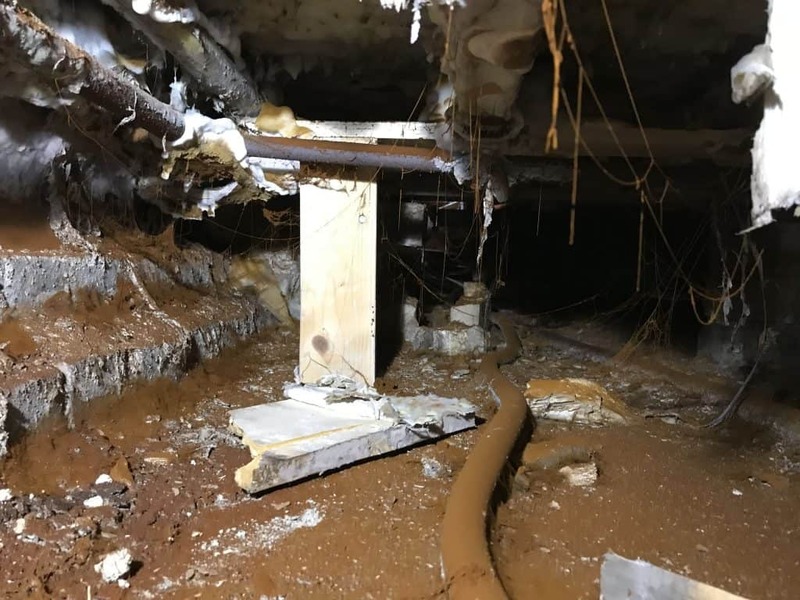 Timberwise arranged rapid drying and evacuated site for a period of 2 weeks, ensuring there was adequate ventilation, especially to subfloors and roof voids. 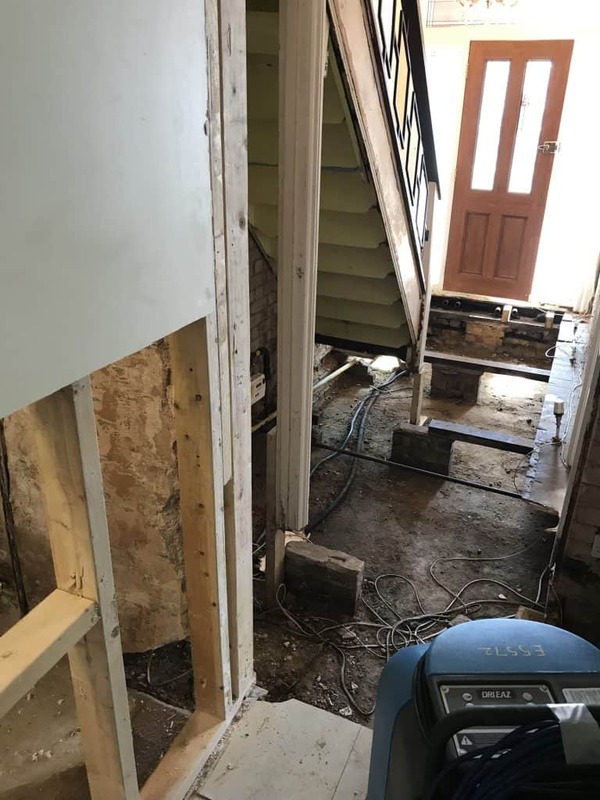 The scope works included hacking off all adjacent plaster back to the brickwork and removing the resultant debris, all skirting, architraves, floor structure and associated timbers within 500 mm of the dry rot outbreak. As a precautionary measure, to ensure there was no mycelium present, the doorframes were removed and the stud work exposed. Technicians were able to carry out drilling, irrigation and sterilisation of the exposed masonry using fungicide solution. 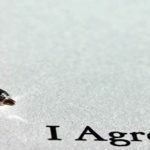 This treatment was complemented with a surface application of the chemical. 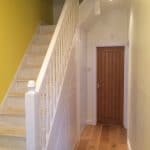 Timberwise also applied the wash to the surfaces within the hallway walls and staircase. 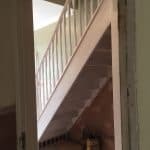 In replacing the joists into the wall pockets it was essential that the joist ends were wrapped and protected to ensure there was no contact between the timber and the masonry, therefore, eliminating the remote possibility of further contamination and ultimately another dry rot outbreak. Treatment was also required to the lounge due to the close proximity of fungal decay and spore germination. 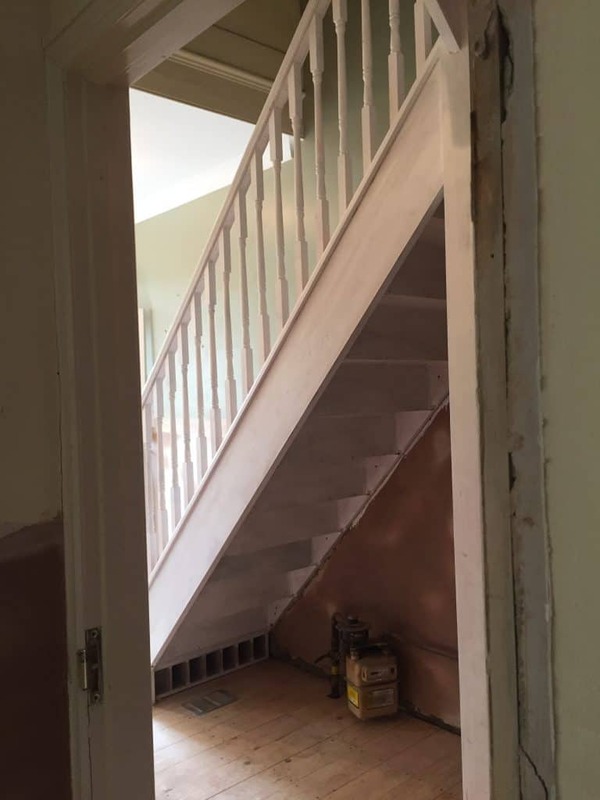 Technicians cleaned down and prepared timbers and applied the dual-purpose chemical solution. 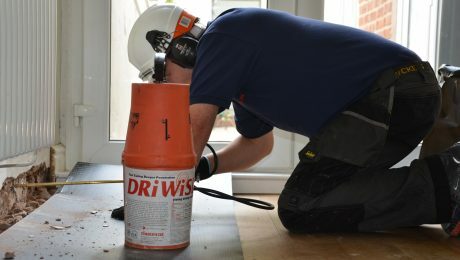 Finally an installation of Timberwise’s DriWisetm damp proofing system. 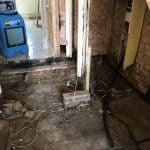 The damp proofing system was injected directly 150 mm above the external ground floor level. 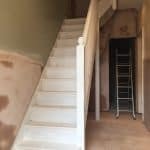 In the case of both properties, after very careful substantial works, the customer was able to redecorate and enjoy their property safe in the knowledge that there will be no further re-occurrences of dry rot from the area treated. 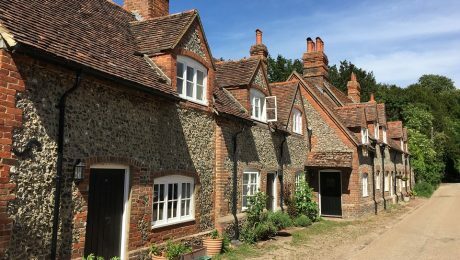 If you are concerned about the possibility of a dry rot outbreak in your property, do not hesitate to give Timberwise a call on 0800 288 8660, or alternatively, you can request a survey. 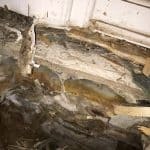 By having a dry rot survey through Timberwise will be able to identify the full extent of the problem and determine whether further dry rot treatments are necessary.